Junior Theta Pram Stores/Buggy Shelters are a compact, space saving solution to store prams and buggies. 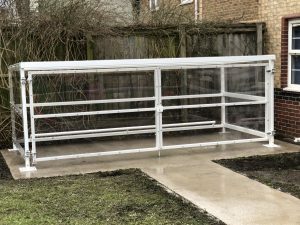 The buggy shelters are available with either integral locking rails to the rear of the shelter or the top rail of the shelter. 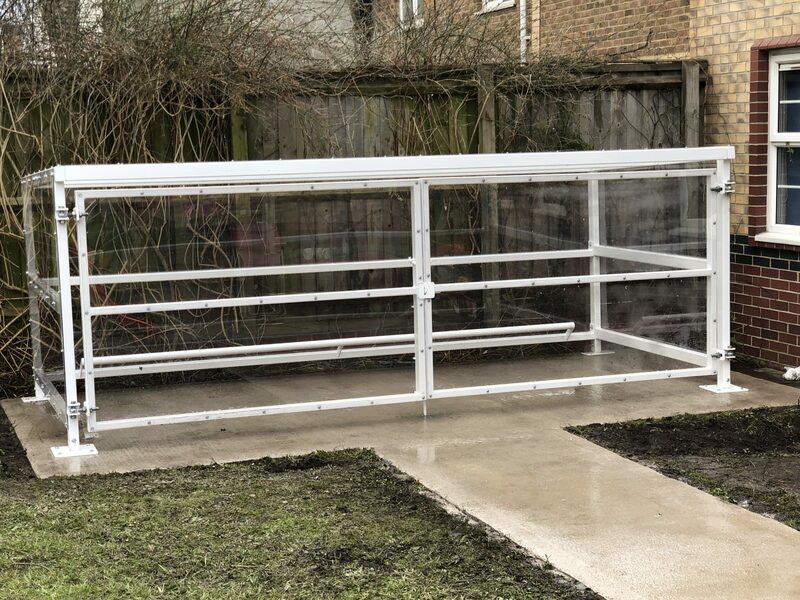 It can have individual compartments which can be lockable via a chain and users padlock or individual compartments and gates. Lockable gates can be added to the whole front of the shelter either steel barred or PET clad. 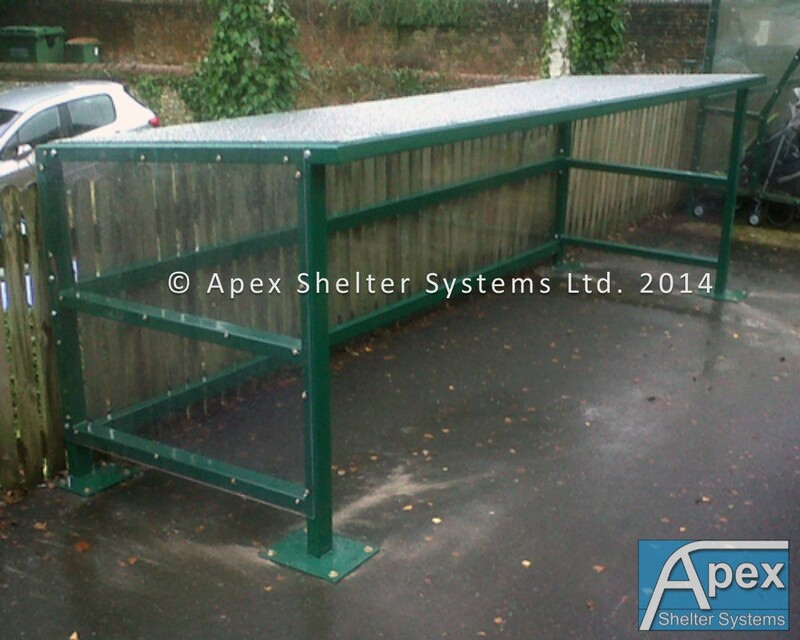 These shelters are manufactured to order so can be manufactured in any length to suit. The section is heavy duty 75mm x 50mm with 5mm thick PET cladding to the roof and sides. Pram Stores have been designed for ease of installation and are supplied in flat-pack form with full technical installation instructions. Alternatively, a full nationwide installation service is available including ground-works. Please contact the sales office for further information.